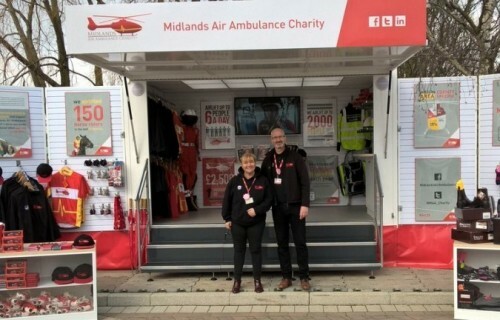 Torton worked with Midlands Air Ambulance Charity 20 years ago, supplying them with their first motorised fundraising vehicle that was taken to numerous outside events across the 6000 square miles they serve. 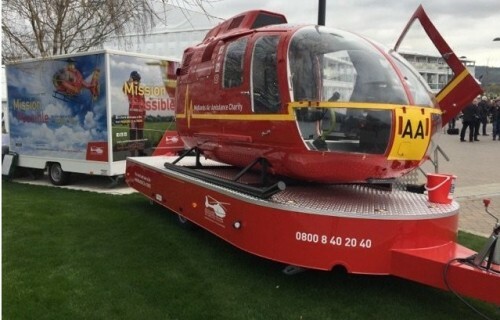 In 1995 the Charity acquired a decommissioned Bolkow Helicopter airframe to be used as an Awareness and Engagement tool and named it the “Helipod”. 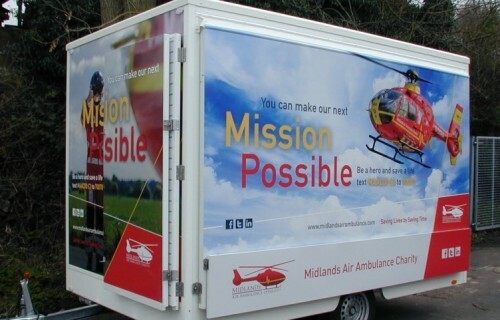 Mounted to a standard flatbed trailer, this has proved to be one of the charity’s most popular promotional assets. 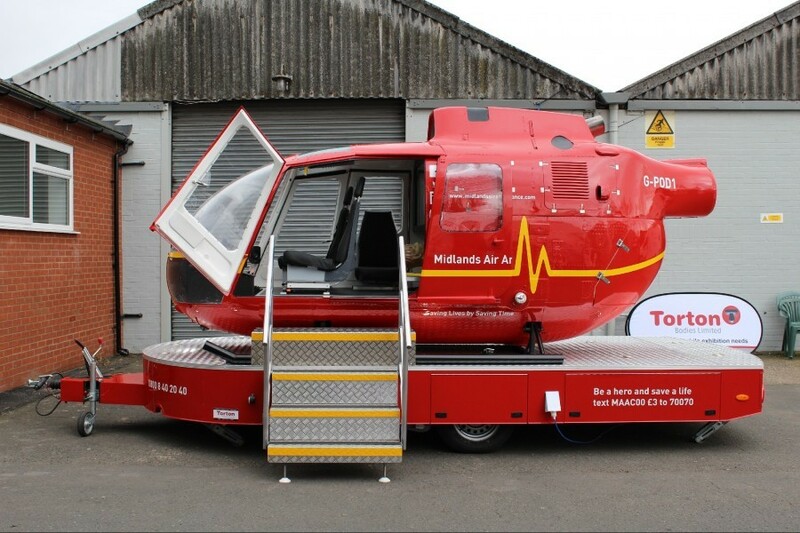 In 2016 with 22 years of excessive use, the Helipod was in urgent need of an update. 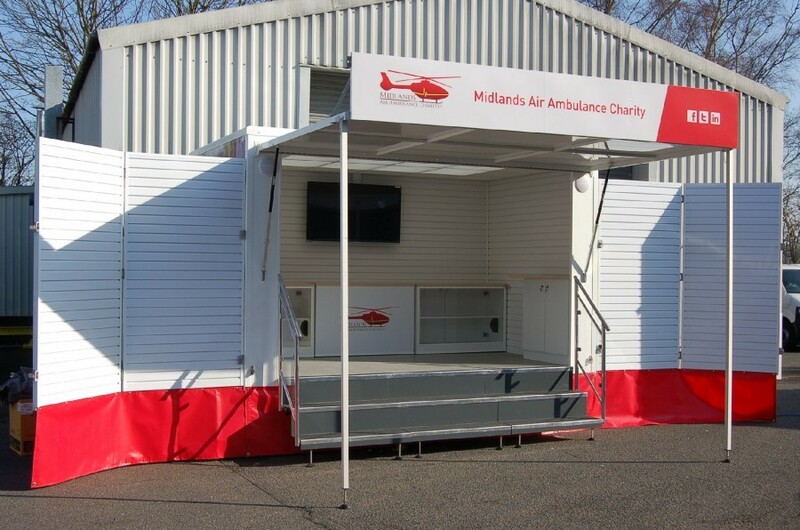 With Torton’s advice and assistance, a cost effective 4m merchandise trailer was designed and purchased in 2016 and the Helipod was redesigned and renovated completely from the bottom up launched for the 2017 season. 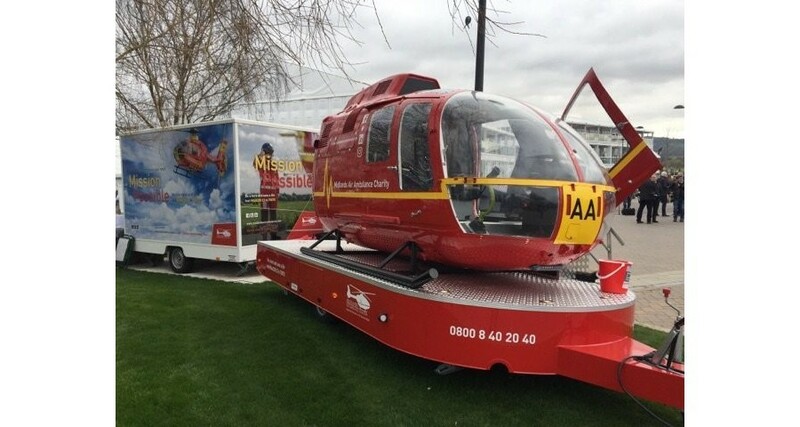 The new merchandising trailer can now be towed by most reasonable sized saloons and is proving that size is not everything. 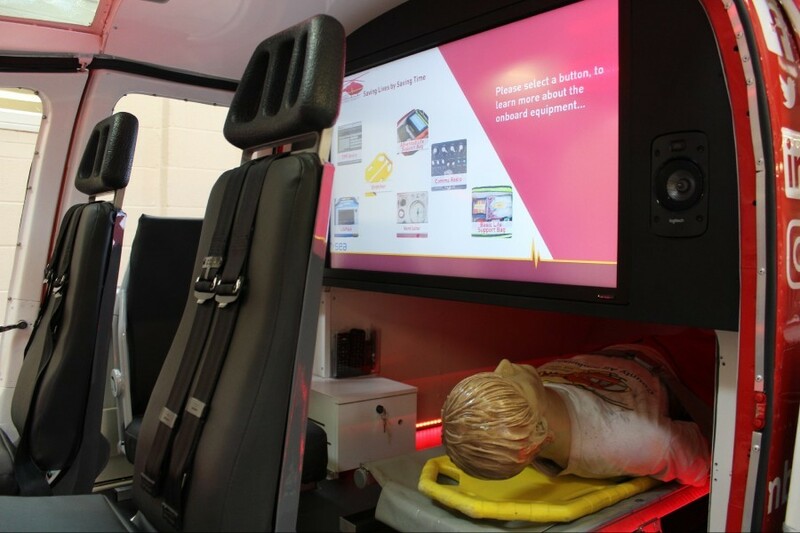 After many years of successful service, the Helipod unit it was looking tired, the user experience was no longer engaging and not reflective of current technology available today. 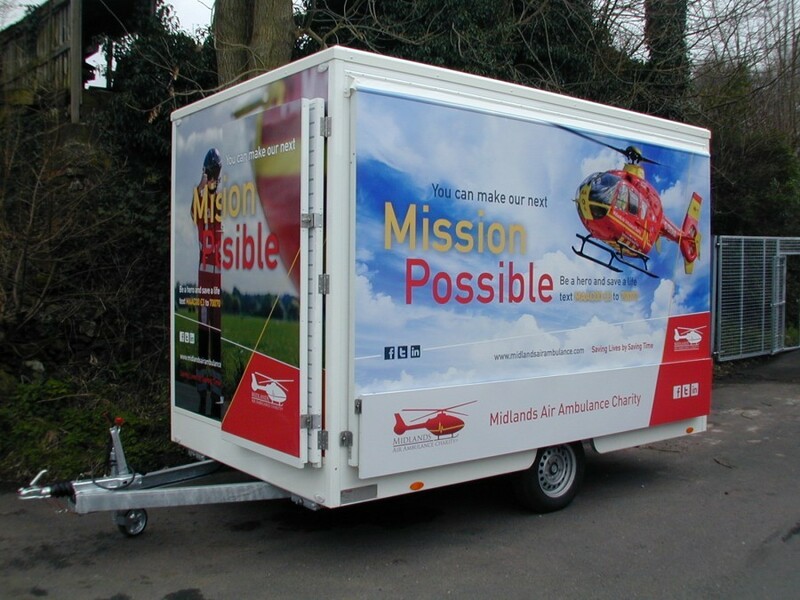 With the task to renovate the Helipod for the next 10 years and beyond, Torton were asked for concepts and designs that meet the expectation of its audience and the needs of the charity as part of a long term fundraising plan. 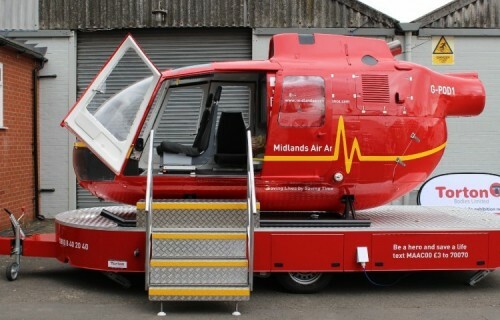 Torton’s designs replaced the original chassis with a sleek stylish designed trailer to give easier access to the Helipod. 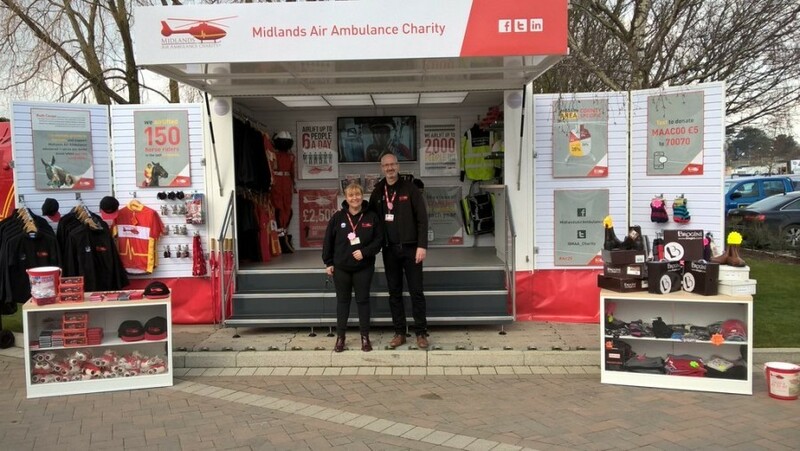 Lower bodywork incorporated lockers with battery banks to power the unit without need for a noisy generator or expensive land line, these lockers finished in MAAC red with livery giving the important information on how to donate. 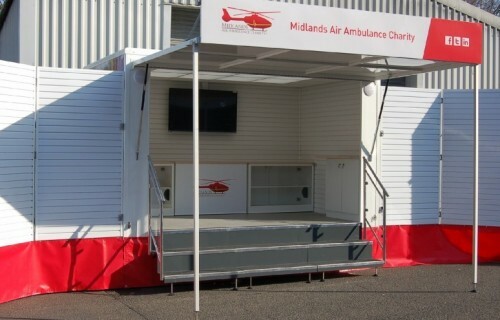 The Helipod was completely renovated from bare chassis frame, re-sprayed and most importantly the fitting of a large interactive screen to both the front and rear of the cockpit. 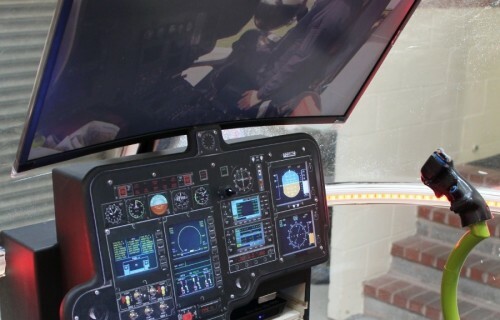 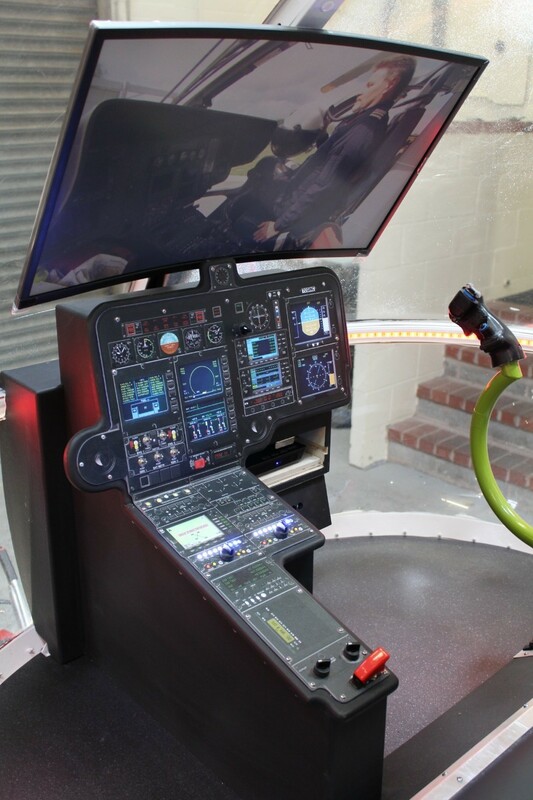 This together with the illuminated flight panel brought the Helipod alive and opened up the opportunity for it to be used for training purposes.